SRH1540 Premium Closed-Back Headphones feature an expansive soundstage with clear, extended highs and warm bass. Where can the SRH1540 headphones be used? You can comfortably use the SRH1540 headphones whether you’re out and about, relaxing on the sofa or hard at work on the mixing desk. Their acoustic performance endows these headphones with the flexibility for both detailed critical listening and premium audio enjoyment. What makes these ideal headphones for critical listening? The distinctive sound of the SRH1540 headphones creates a vivid soundscape of lofty, extended highs and warm, accurate bass. The Alcantara® ear pads ensure absolute comfort and, in combination with the closed-back design, maximise sound isolation, cutting out ambient noise to let you enjoy your favourite tracks exactly as they should be. The steel driver frame with vented centre pole and diaphragm developed with APTIV™ Film reduces total harmonic distortion and eliminates internal resonance for consistent performance at all volumes. The oxygen free copper cable (OFC) with reinforced jacket gives you added durability and sound quality. What features make the SRH1540 such comfortable headphones? 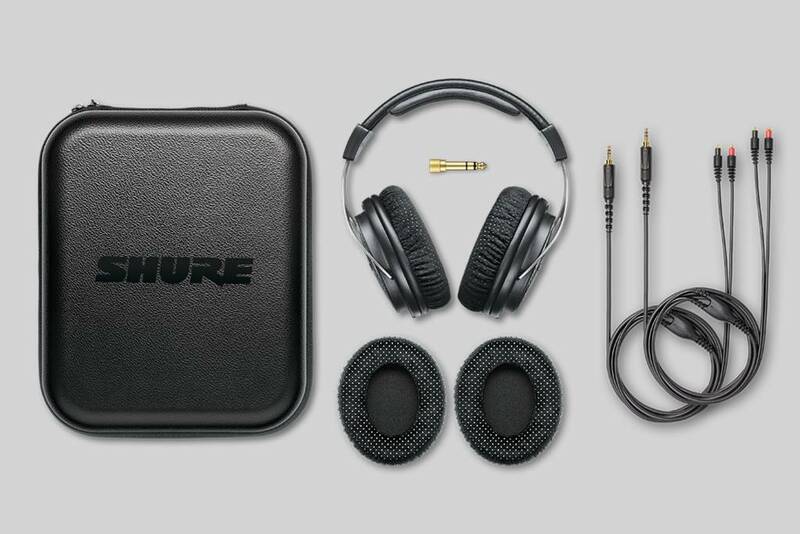 Tested by Shure engineers for rugged durability, the SRH1540 headphones have a lightweight carbon fibre composition and aluminium alloy yoke. With high density, slow recovery ear pads and a padded premium headband, these headphones can be worn for hours without discomfort.